Growing up we had regular family movie nights which always included bowls of popcorn, hours of laughter and a feeling of family bonding afterwards. I loved family movie night. A perennial favourite movie that I found replayed quite often at movie night was "Tootsie". I didn't mind this, from a very young age my favourite genre was comedy and Tootsie managed to crack me up every time. I watched in admiration the feminist flare and strong demeanour Dustin portrayed in his character, Dorothy, but was also always on edge knowing his lies would unravel and he would get caught, only to humiliate himself and others involved. While eventually all good things come to an end and Dorothy was outed as being the unemployed actor Michael Dorsey, I remember walking away from watching the film feeling happy, uplifted and like I'd just had a great laugh. 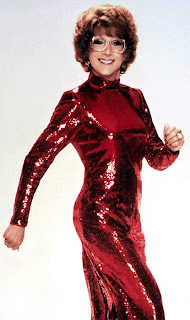 Recently an interview of Dustin Hoffman was released where he discussed how the idea of Tootsie came about. The video interview is one of the most beautiful things I've ever seen. The true meaning behind the film Tootsie to Dustin was not a comedy at all, but was based on a lesson he'd learnt through dressing like a woman about how cruel and difficult life can be for women who aren't conventionally attractive. I am sure when watching this interview most women will be able to relate on some level. Whether you have been dismissed your whole life because of non conventional looks or people have been overlooking you as you have gotten older, I believe all women have felt the hurt that the world's judgement can bring based on our looks. Just the other day while struggling to locate my keys to enter my apartment building from work, a passerby who also resides in the building, held the door open for a young lady, but as I was approaching they let the door go without giving me any acknowledgment.